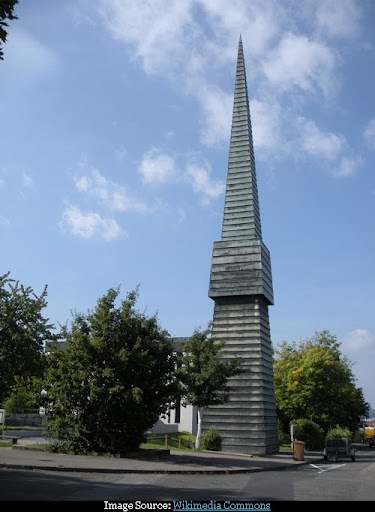 The Holy Cross Church, (Heilig Kreuz Kirche) at Sommerrain, Stuttgart, Germany is a strange tent shaped church with a 36 metre high needle shaped tower. 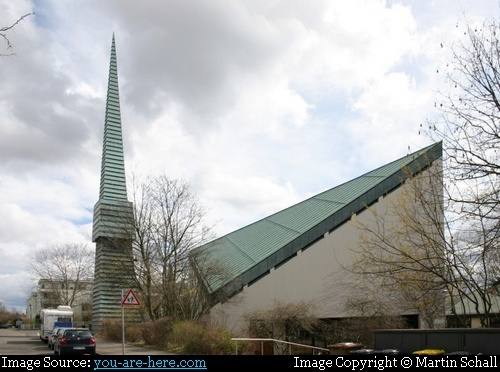 Constructed in 1966 the church was designed by the architect Heinz Rall, who from late fifties onwards, had made a name for himself for designing churches with modern looks. "And thou shalt bring in the table, and set in order the things that are to be set in order upon it; and thou shalt bring in the candlestick, and light the lamps thereof." "And thou shalt take the anointing oil, and anoint the tabernacle, and all that is therein, and shalt hallow it, and all the vessels thereof: and it shall be holy." I suppose it could be seen as either a candlestick with a flame on top, or an oil bottle with its stopper. Image from you-are-here.com is by Martin Schall and used here after due permission. 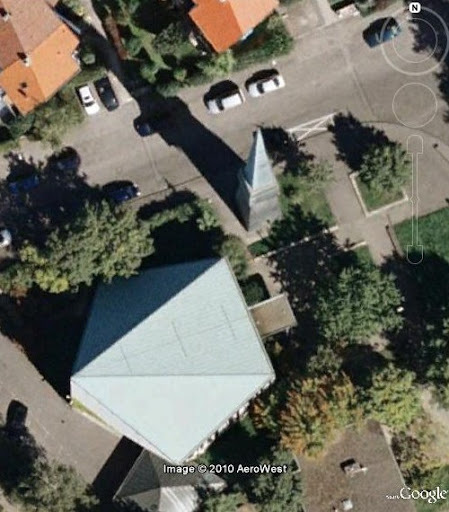 Credits: I am thankful to Martin Schall, who besides giving me permission to use image from his fantastic collection also gave me the reason for the tent shape of the church. Thank you Martin. 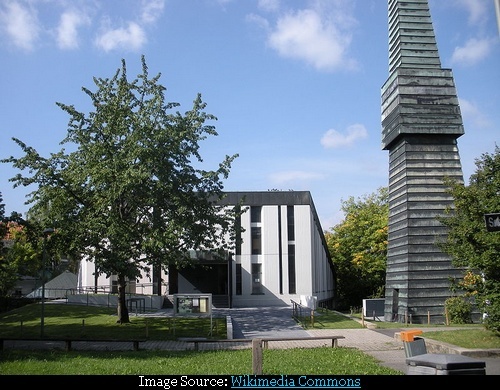 The Church of St. Columban in Friedrichshafen (Lake Constance, Germany) has a similar look. Thanks for the info Andreas. Yes I agree the two churches are quite similar.